After discussing the topic of using exercise as a way to relieve stress in a previous blog, I figured I would go more in depth on the subject. With the new experience that college brings us, many people find it hard to adjust. Incoming students look to the gym as a way to stay away from the freshmen 15 or even to clear their minds from all their school work. Many people like going to the gym to enhance their bodies and stay in shape. For many people this might be their first time in a gym or working out and there’s nothing wrong with that. You shouldn’t be discouraged if you don’t instantly see the results you want. Some people find it harder than others to put on muscle once in the routine of regularly going to the gym. Using supplements like protein for example is a good source of additional help. At first you might be skeptical of the product as I once was because you’re not so sure exactly how it works. Taking protein with your workout is a good way to help build muscle and mass when you’re having a hard time doing so. Protein is used in our body for several different things. “Protein is an important building block of bones, muscles, cartilage, skin, and blood.” It is naturally produced in our bodies and is an essential part of our muscle structure as humans. Although it is produced in our bodies we need to consume more through foods such as meat, eggs, and nuts to reach our optimal protein levels. Exactly how much protein we need depends on our or weight and height. Since protein is essential in building muscle we need to consume more than what we usually do in our regular diets to see greater results. In my experience I can say that taking protein definitely works and helps in building muscle and adding mass. There is a clear difference when you are working out and taking protein as opposed to when you are working out and aren’t taking it. Even though you are taking protein you still won’t see instant results but you will most definitely see begin to see results quicker. At the same time I don’t recommend using protein supplements to people who aren’t routinely working out. It will turn into fat after not finding muscle tissue that needs repairing. With that being said, give it a try and let me know how your experience goes. This entry was posted in Uncategorized and tagged exercise, fitness, muscle, protein, supplements, working out on December 5, 2014 by Adair Mustafa. 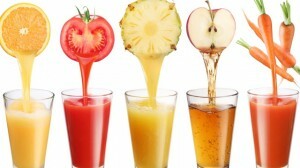 I was researching if there are different type of juice cleanses out there and found that there actually are; there are juice cleanses that involve blended fruits and vegetables and then there is the “Master Cleanse” which only allows the cleanser to drink a mixture of lemon juice, maple syrup, cayenne pepper, and water. According to Health.com, many people turn to juice cleansing because they feel like their body is off—they feel sluggish, heavy, or bloated. 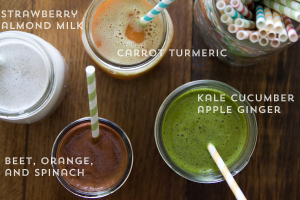 It is believed that only drinking these fiber-rich drinks will rid your body of the toxins that are preventing it from operating at maximum capacity, but this may not be the case. 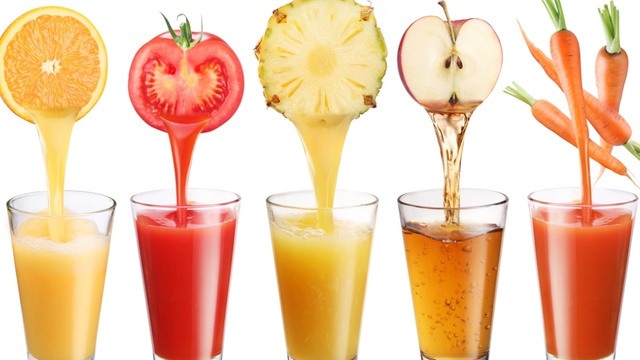 There are already organs within your body—such as your kidneys and liver—that remove all the toxins within our bodies, thus making the idea of a juice cleanse obsolete. According to the Huffington Post, the reason it seems like the juice-cleanse is actually a viable way to loose weight is because it increases the rate at which we lose water weight. Switching over to a liquid diet reduces calorie intake, causing the body to release the carbohydrate glycogen for extra energy for the body to function. Glycogen attaches to water so when it is lost, so is water—but normally the water is gained after the cleanse ends. 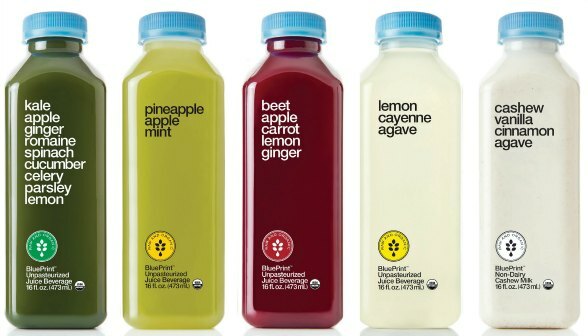 The general consensus is that taking part in a juice cleanse isn’t a sustainable way to lose weight—it is still suggested to watch what you eat and exercise regularly. However, there is nothing that shows doing a cleanse for a couple of days would do detrimental harm—so if you’re particularly interested in taking part it is generally safe. However, it would be unwise to partake for more than 10 days because there are not any commercial juice cleanses that go past that length. This entry was posted in Uncategorized and tagged fitness, health, juice cleansing, science on September 12, 2014 by Asia Grant.